The Nissan Navara is a tried and tested four wheel drive offering owners a solid and reliable vehicle. 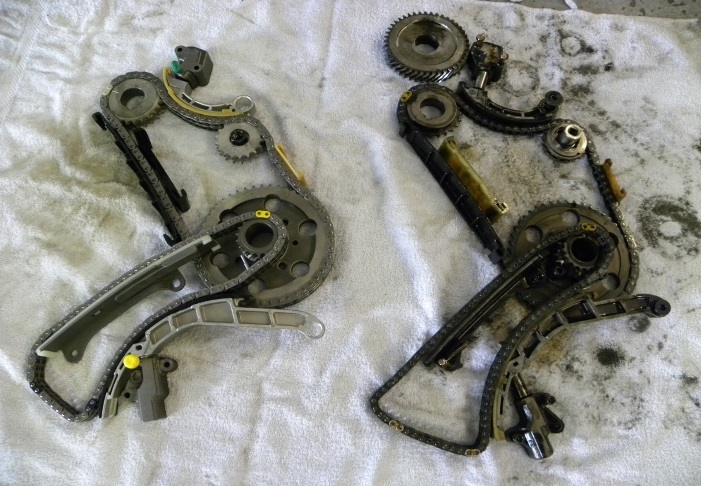 However if you are the owner of a D22 or D40 Navara with a YD25 engine (2.5 litre diesel), or a Pathfinder with a 2.5 litre diesel, there is an issue with these engines with some that you really need to be aware of and that is premature engine timing chain failure. Nissan Navara Engine Failure – What’s to blame? The engine timing chain does just as the name implies and that is to keep all the internal parts of the engine moving in time. If this chain breaks or slips as unfortunately can be the case in the Nissan engine, the results are catastrophic. 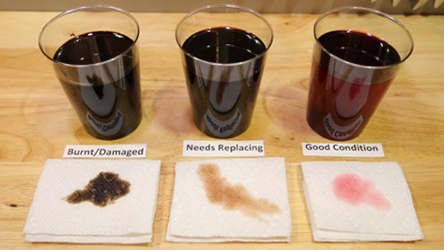 The internal parts of the engine collide, usually starting with the valves hitting the pistons and breaking away. At this point the engine would be considered destroyed and you would be faced with the option of a complete rebuild or a replacement engine. 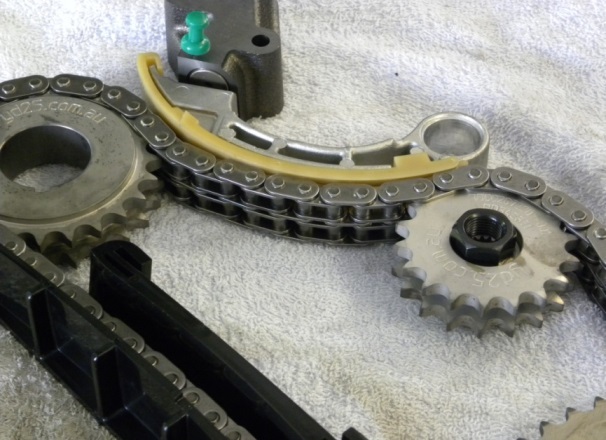 Engine timing chains in all engines do suffer from wear as they are moving parts within the engine. 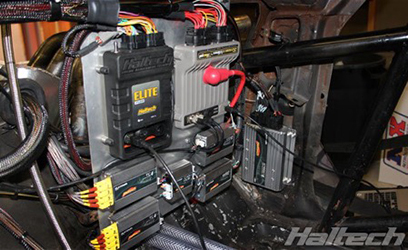 However with the Nissan engine, the factory chain configuration is not adequate for the work that it is subjected to. The result therefore is premature wear in the chains. We recommend that the timing chains in the YD25 engine be inspected for wear when the engines have travelled 100,000 kilometres and every 40,000 km thereafter. These engines can have a worn chain but present no abnormal engine noises and for this reason regular chain inspection is vital. 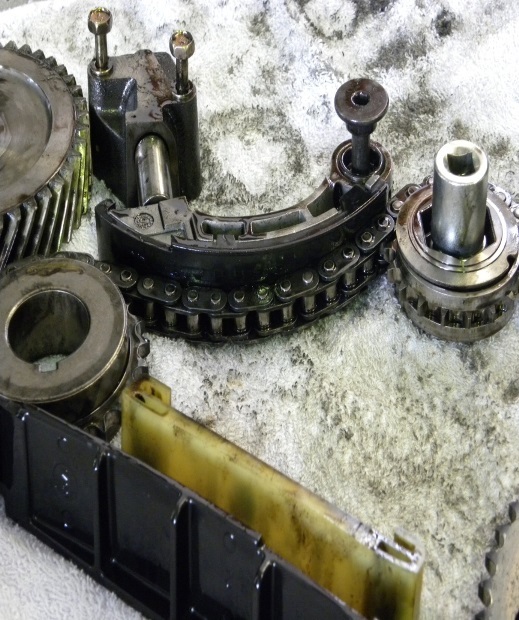 If a worn timing chain is discovered upon inspection we recommend a new and modified timing chain kit be fitted that will cope with the load demands of this engine. The modified kit we fit incorporates a double row timing chain to replace the original fitment single row chain – refer to photos below. A failed timing chain from a YD25 engine, note the wear in the link pin.